Microsoft has announced that it will join The Linux Foundation as a Platinum member. In order to work more closely with the open-source community, Microsoft announced today that it will be joining The Linux Foundation at its highest level. During its Connect(); 2016 developer event in New York, the company revealed that it will be joining the foundation at its Platinum level, which costs $500,000 a year. It will join Cisco, Fujitsu, Hewlett Packard Enterprise, Huawei, IBM, Intel, NEC, Oracle, Qualcomm and Samsung as the latest Platinum member. John Gossman, who is an architect on the Microsoft Azure team, will sit on The Linux Foundation's Board of Directors where he will aid in underwriting new projects. The foundation is a non-profit technology group that advocates open technology development and encourages its commercial adoption. The Linux Foundation is not limited to the Linux platform but also offers resources such as tools, training and events intended to help any open-source project grow. Microsoft currently contributes to a number of the foundation's projects such as Node.js Foundation, OpenDaylight, Open Container Initiative, R Consortium and its Open API Initiative. The company's decision to join The Linux Foundation as a member makes a great deal of sense as this will allow it to have more input on upcoming projects. 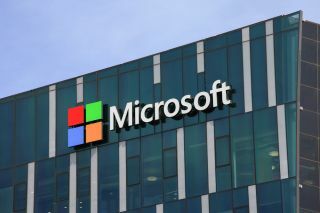 The executive president of Microsoft's Cloud and Enterprise Group Scott Guthrie, explained the company's reasoning behind becoming a member of The Linux Foundation, saying: “As a cloud platform company, we aim to help developers achieve more using the platforms and languages they know. The Linux Foundation is home not only to Linux, but many of the community's most innovative open-source projects.